Fi360’s Conference is Awesome and Here’s Why! Despite the recent snowfall, winter is actually over and I think we all could use some Vitamin D. It just so happens we are hosting the 2018 Fi360 Conference in a city that has adopted a rather fitting alias, the City with Sol! By the way, sol is Spanish for sun. So now you know a tiny bit of Spanish, which will come in handy when you attend the Fi360 Conference in San Diego. Work and play collide beautifully in sunny San Diego. Conference prepares you professionally for the ever-changing regulatory landscape. Earn continuing education (CE) credits for your Fi360 designation and other industry credentials by attending a variety of informative sessions that showcase practical retirement and ﬁduciary-based knowledge. We’ve added sessions focused on marketing, sales and overall business development strategies that can be implemented in your practice immediately. It’s no wonder the Fi360 Conference was named the “Best Fiduciary Conference for Advisors” in 2017 by Michael Kitces. Like our designation training, the Fiduciary Focus Toolkit™ is rooted in the Prudent Practices. Learn how the toolkit helps advisors implement a prudent fiduciary process at the Software Presentation, Wednesday, April 25. A lot has changed with the toolkit since last year! 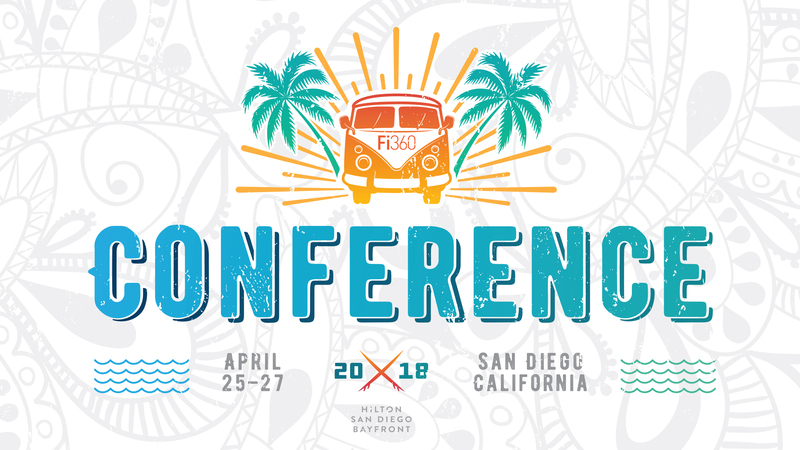 Over 700 financial specialists will meet at the Hilton San Diego Bayfront Hotel to learn from industry experts and connect with like-minded professionals. This year’s Conference gives you the perfect opportunity to meet new people, reconnect with former colleagues and old friends, as well as share success stories with one another. We are proud to host the Women in Finance networking event at Conference for the third year. The women who attend Conference use this opportunity to share their unique challenges, make connections and celebrate successes. Petco Park, often referred to as the nicest ballpark in baseball, provides the backdrop to our Welcome Reception on opening night. Even if you’re not a baseball fan, you will appreciate the gorgeous view of the San Diego skyline just past the outfield wall. Extend your education vacation a few days with colleagues and old friends. You can head back to Petco Park on Friday to watch the Padres take on the New York Mets. Or spend Saturday learning how to hang ten at some of the best beaches for surfing on the California coast. There is so much to experience at this year’s Fi360 Conference. Come for the educational sessions and wealth of fiduciary knowledge. Stay for the beautiful San Diego weather. It is the City with Sol after all. Register for the Fi360 Conference.